I thought I had seen it all, but today I saw an even better one! This must be what Japanese think when they see SuperDry. 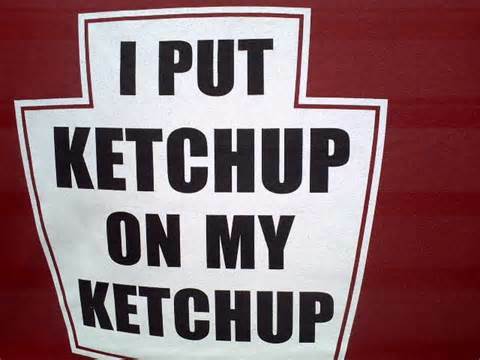 If you know me at all, you will know that no meal is complete without some ketchup, preferably Heinz. After struggling to get my point across in my hotel, where the English language has not yet been discovered, eventually gaining traction after I found a tomato to point to, and making rude farting noises and ketchup applying hand gestures, I have now found an easier way to ask for Ketchup. Impossible to spell obviously, and sounds that aren’t familiar to me, but it works. My tomato sauce in Chinese acent is evidently hilarious, but equally effective. A man’s got to have his ketchup! That reminds me, why do Americans find it so strange that I put ketchup on pasta? What’s wrong with you? It’s practically made for pasta! Traveling is great, once you are at your destination. The getting there is the hard part. What a head ache! Well I made it, I’m in China, ready to work on 2017, it’s going to be emotional. 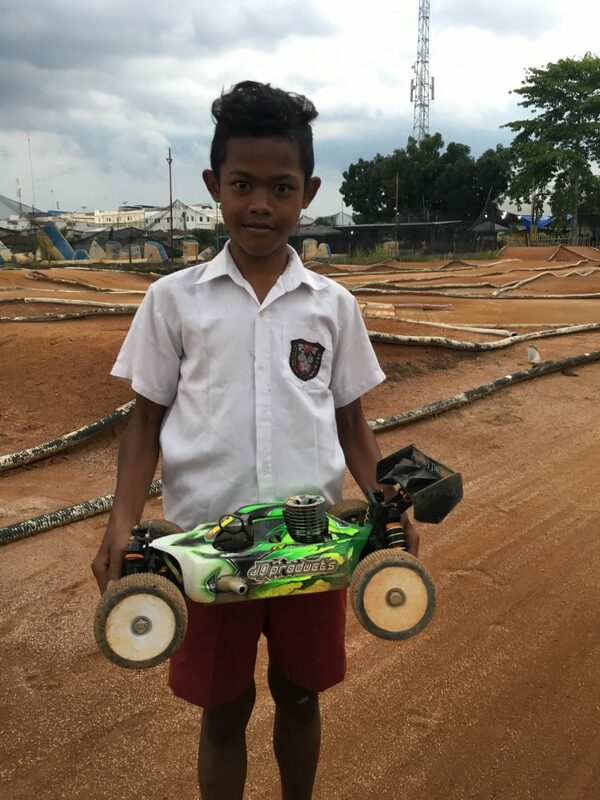 You may remember this guy, Fajar from Indonesia, 13 years old at the time, and a marshal at the RC track in Medan. I wrote a blog post about him back then, which you can read here if you like. I realised I never did write about the fact that some time after the visit, he dropped out of school as his parents couldn’t afford to send him, so I had my local distributor find out if he wanted to keep going to school, and if his parents were OK with me paying for it. They were, so I did. On the left, when I first met Fajar. On the right when he got his new school uniform, and went back to school. 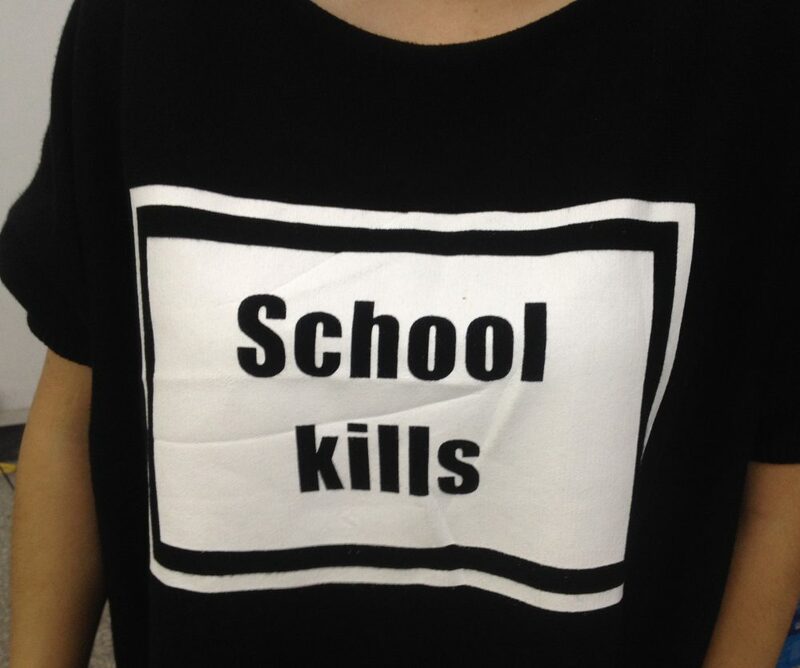 I just had the good news that 5th grade has begun, as a new school uniform was needed. Cool to see, and it made me think…oh boy here we go again! My point of today’s post isn’t to say look how awesome I am, (although please feel free to do so also), it is to say that it’s really easy to make a positive difference in someone’s world. It doesn’t take much at all, even a village idiot from Finland can manage it. I don’t know if Fajar’s life will change due to my help, but what I do know is that I am providing him with an opportunity. Sometimes all a person needs is an opportunity. 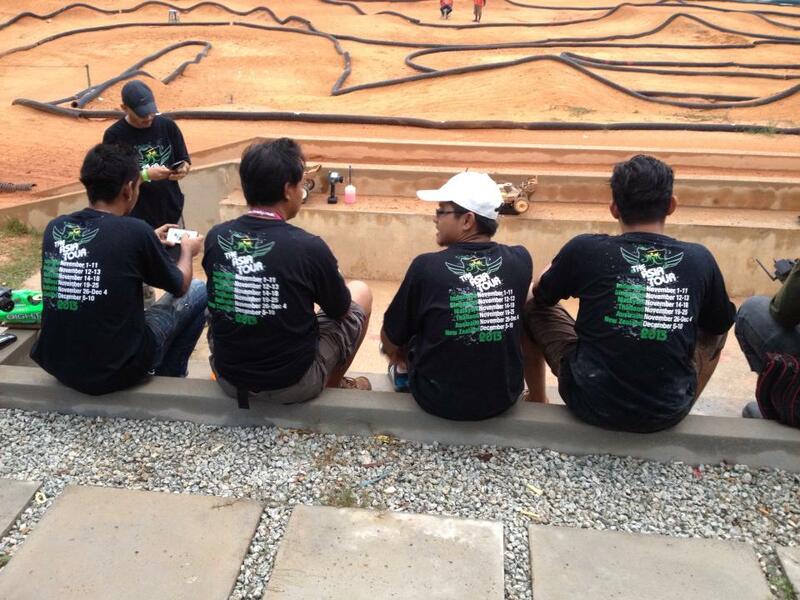 Still loving the marshaling duties at the Medan track! it’s really easy to make a positive difference in someone’s world. It doesn’t take much at all, even a village idiot from Finland can manage it. Sooo I am not in Asia anymore, but I have a few stories I still want to share. Here is the first one. 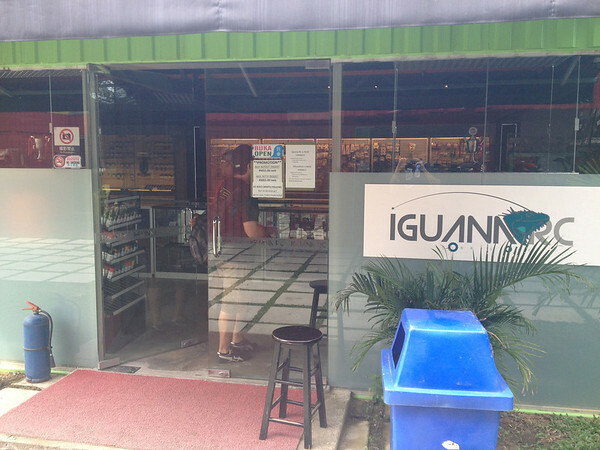 Ilias and I travelled to Malaysia, to attend the first ever JQ Asia Tour Malaysia Event! 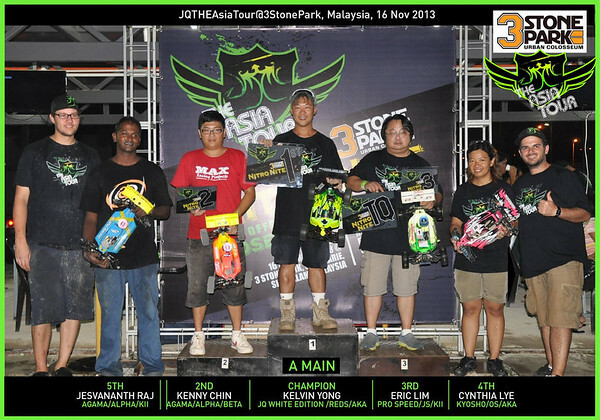 A night race, held at the newly built 3 Stone Park facility in Kuala Lumpur. 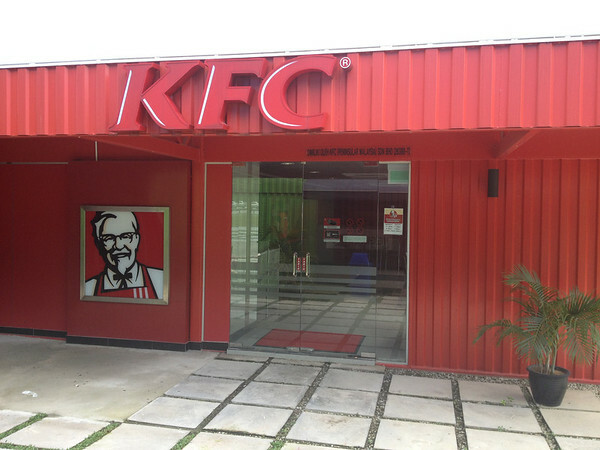 This facility has the potential to become one of the best facilities for RC in the world, catering for all scales and classes, with hobbyshop, cafe, and even KFC on the compound. It was still not finished, logistics still need some work, getting in and out of the facility, and also the offroad track itself needs some work. But surely it will all be up and running well for next this years FEMCA Championships. For this event Kelvin Yong would be running my 2nd car, and Jacob Wilson from Australia would be running my 3rd car. Unfortunately it started to rain towards the end of practice, and it just kept coming down. 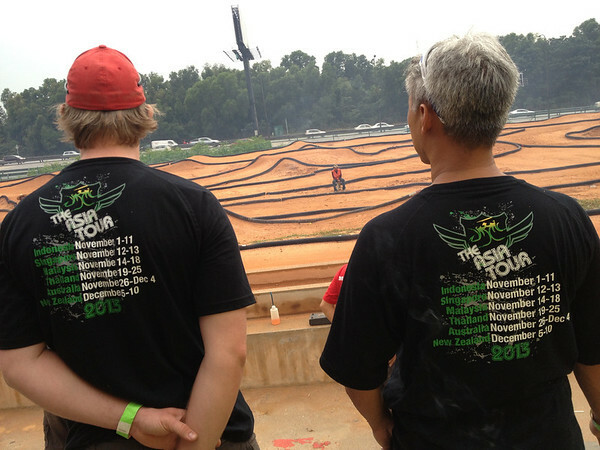 When the race was supposed to start, it was still raining, and the track was a mudbowl. The car’s did manage to finish the runs, but it was really really muddy. I decided not to race, as I already had two cars in the event, with Jacob and Kelvin, and apparently this did not go over well with some people who really wanted to see me race. Well all I can say is that the situation was very unfortunate. no one can control the weather, so it is not like there would have been super racing action. The main reason that I did not race was that the following week Hara was going to run my car, which was brand new. With limited parts supply, there was no way I was going to destroy it in the mud. Unfortunate, but that is just how it is sometimes. Jacob Wilson and Kelvin Yong, JQ Drivers for this race. But as I said, there were two JQ White Editions in the race, and they did not dissappoint! Both made the main, and Kelvin qualified 2nd! Once the main started, it was still raining, so it would be a tough main. I pitted for Jacob, and after a great start, there was a pileup, and inevitably Jacob ended up far behind. After driving up through the pack he made a mistake on the back section, and another car hit him at full speed, bending the rear shock shaft. With a stuck rear shock, Jacob still managed to finish in 6th place! At the front Kelvin was having a great battle, and ended up winning the race! That was a great achievement, as he just picked up my car and raced it. Big thank you to Alvin Lam and the 3Stone Park Crew, Kelvin Yong and Cynthia Lye, and of course The Stocek Family for hooking us up with 1st class accomodation! 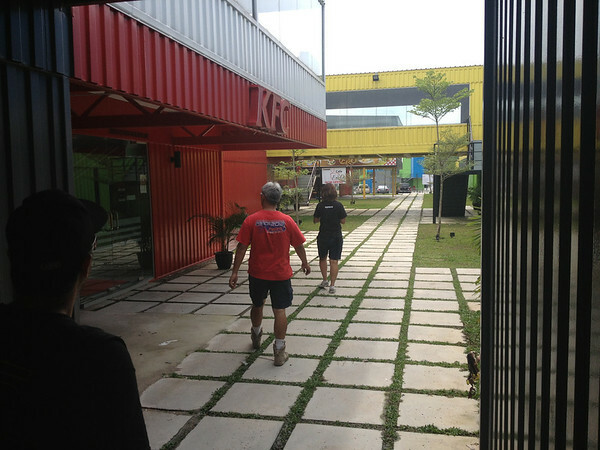 – Kuala Lumpur Centre is impressive, not even just the towers, everything there. Oil money I guess. – Everyone speaks English, but in fact, out of all the countries I visited, Malaysia has the rudest people (strangers). – It is really hot, oh man. – In November it rains every day for 45 minutes, at exactly 4 o’clock. Insane. 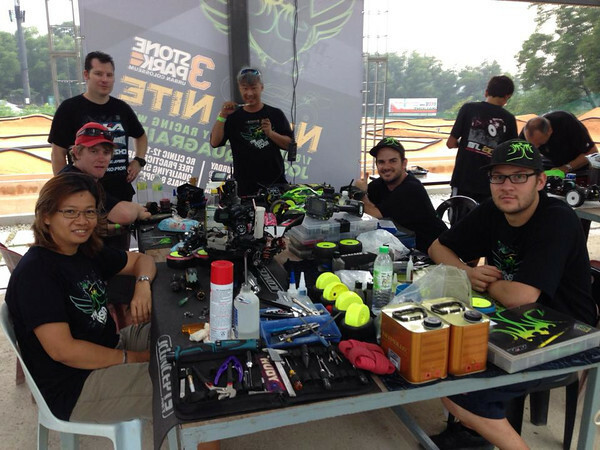 Today: Going to Putrajaya RC Track in Malaysia. See you there! 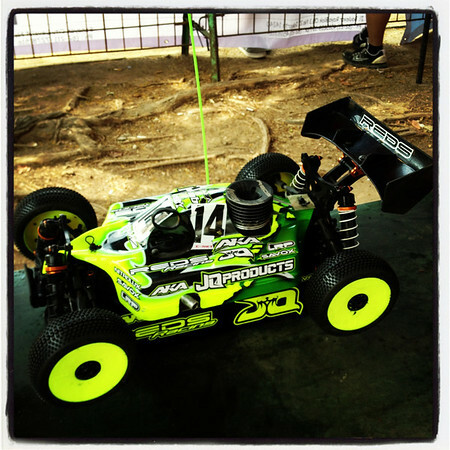 Tomorrow: Flying to Bangkok Thailand, for the JQ Race at Ko Hobby in Ratchaburi, close to Bangkok. This race will also see a very special guest star run the White Edition :-D. We race 23-24th November. See you all there! 25th November: Ilias flies home. 26th November: I fly to Adelaide Australia! We race the 30th Nov-1st Dec.
As for the White Edition, we have now fixed all issues found by ourselves, our team drivers and THE100. About 50 cars have already been built and tested, and we have taken all this information and made the necessary changes. The kits are being packed now, and should ship out wordlwide within November! Order yours soon, as the 1st batch has already been sold out to distributors 😀 Yippee!